Happy New Year The Stores Are Closed! I thought my first post of 2015 would be with a pattern, but sadly noooo! 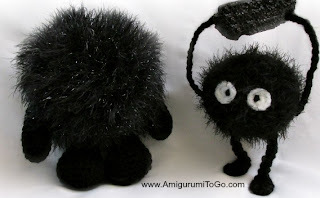 On the 26th of December of last year, (lol it feels funny to say "last year" when it was just yesterday) anyway I had finished my first Spirited Away Sootball and I wanted to post a pattern but I ran out of the novelty yarn I was using. I needed more so I could run through the pattern again, take photos and test the pattern while I did all that. No big deal I thought, I'll just make a trip to walmart and grab some. WELL, I went to walmart and what the blazes they had none left! And I went at night so there's no other stores open at that time. Ok, now what? 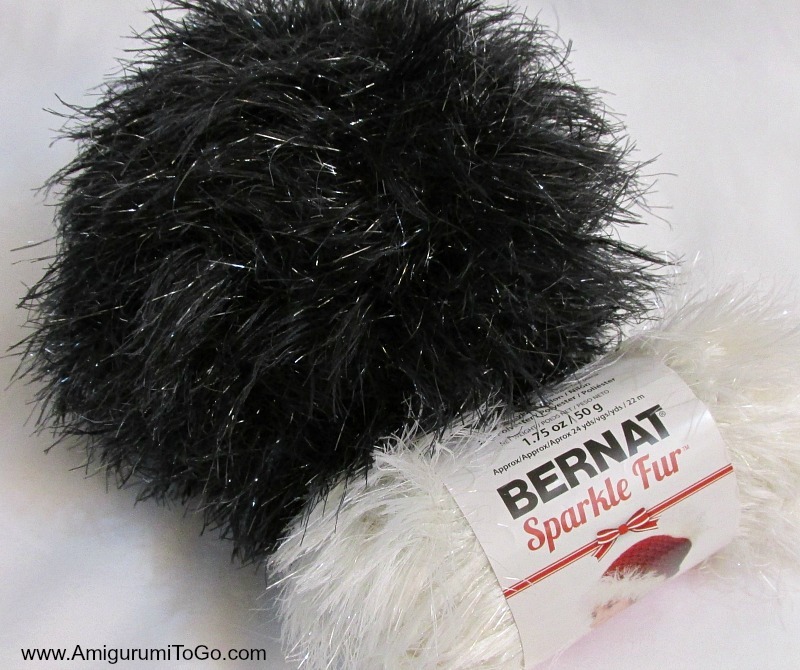 Well, they did have this sparkle fur that kind of looked like what I used. But this stuff is SO soft, it feels like heaven or clouds you'd find in heaven! So I grabbed a black one and a white one. pattern minus one row but it looks twice as big! And just oh so soft! Since it won't work for the beginner I decided to make this into another pattern for those who can work with it so I gave it larger arms and legs and today I will figure out a face for it. I will also make a white one. I'm not sure what they both will end up being. 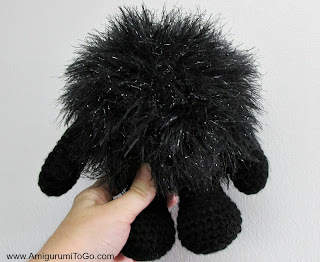 I'm thinking dust bunny monster or along those lines.. but it could change once I get a face together. I'm also thinking this will be a great ami for those with sensory issues. You just can't help but want to hold it and run your fingers through it! And tomorrow all the stores will be open again, yay! I hope they have that yarn I need for the sootball, if not I'll have to order it *facepalm* I'm keeping my fingers and toes crossed it's in stock in town somewhere! Until then Happy Yarny New Year everyone!